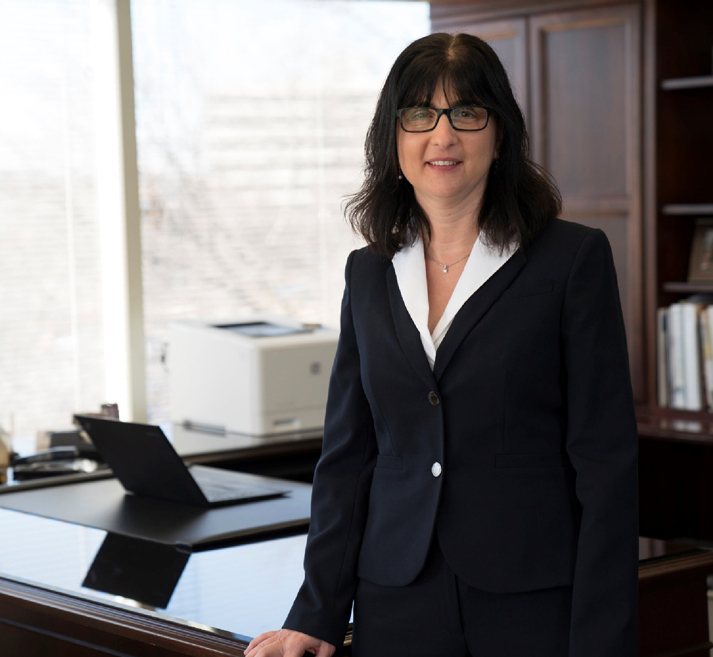 AAIC has a solid financial foundation and more than 70 years of experience. With $1.053 billion in gross premium written in 2017, we rank among the world’s 50 largest reinsurance groups, as rated by A.M. Best. American Agricultural Insurance Company is rated “A” (Excellent) by A.M. Best. 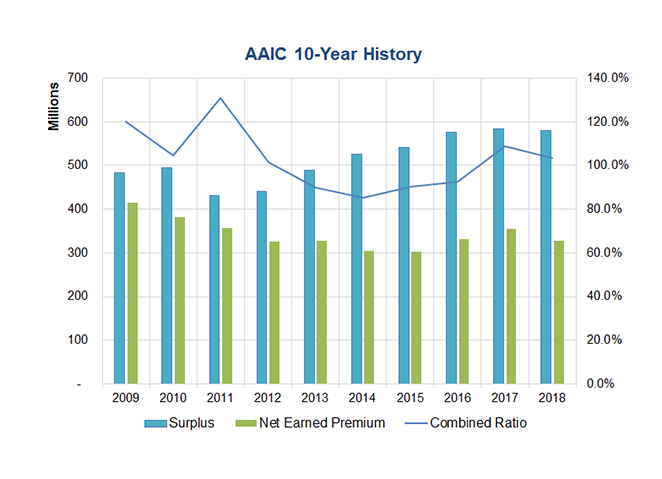 As in much of the industry, AAIC financial results for the fourth quarter and 2018 as a whole were impacted by two factors – heightened catastrophe activity and stock market volatility. 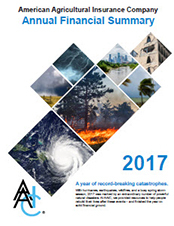 2018 currently stands as the fourth-costliest year on record for the industry in terms of insured losses, and it was the second year in a row with increased catastrophe activity. In the fourth quarter, we saw Hurricane Michael and the California wildfires, as well as significant stock market losses, all of which contributed to a fourth quarter loss ratio of 94.6% and surplus loss of $26,608,474. 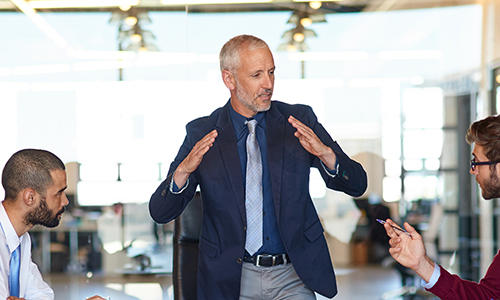 Despite the challenges, our overall underwriting results for 2018 showed improvement over 2017.